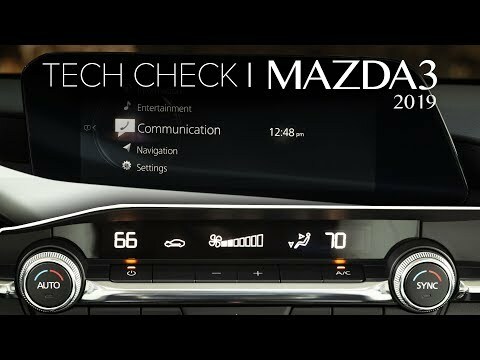 The new 2019 Mazda3 sedan and hatchback come with an 8.8-inch infotainment screen, positioned further back on the dash, but still low enough that it doesn't obstruct the view out the windshield. Mazda's latest Connect software features new colors and fonts, as well as a better-organized menu structure. It also now offers support for Apple CarPlay and Android Auto, which are standard on all models except for the most basic Mazda3 sedan.